The concept of what it means to be a real man in the modern world is changing. Gone are the days of being expected to grill large hunks of meat, hide your feelings, and chug back cans of beer. Join Registered Holistic Nutritionist Andrew Raines as he explores what it takes to be a real man, attempts to break stereotypes and challenges the antiquated definition of masculinity. This is not just a column for men, but for everyone that has a man in their life. 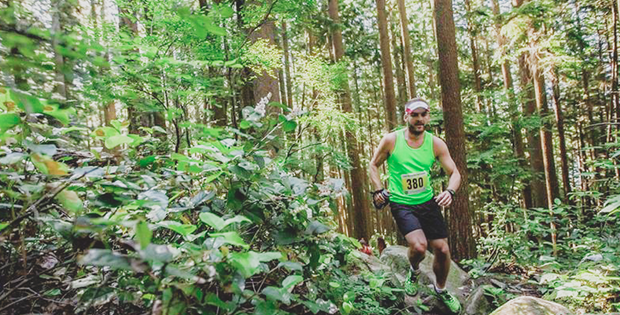 With our continued desire to live more naturally in all aspects of our lives, it’s no surprise that we’re seeing a growing interest in trail running. For the entire human existence, we’ve been running to explore new lands and keep warm in cold climates, all while running from and after our predators and prey to ensure survival. Our ancestral runners did not worry about personal bests, age category wins, or the never-ending quest for the newest footwear, lightweight breathable fabrics, or sugar-filled beverages. As running has become a sport that is approachable and enjoyed by most, we’ve learned to embrace the constant pounding on pavement and asphalt that is modern running. While we’re fortunate to be able to adapt and enjoy this sport in various conditions, there is something both primal and exhilarating about returning to our roots and running in nature. If you hear the call of the wild and are considering embracing everything that trail running has to offer, there are a few important things to keep in mind before you throw away your expensive, technical road shoes to embrace running up and down your local mountains. Running is generally a very simple activity, and while trail running includes different variables, it really should be no different. You follow marked trails, don’t have to worry about crossing street or dodging cars, and you generally encounter less people. That being said, there are some simple guidelines to follow in order to keep good trail etiquette and stay safe. One of the most important rules trail runners should follow is to stay on main trails. Following switchbacks, avoiding steep descents in dangerous conditions, and being respectful of wildlife will allow you to stay safe while protecting the environment. Make sure to abide by trail closures and do not litter. If you create or come across litter, do the right thing and pack it out. Running with a partner will ensure an added element of safety if something goes wrong. While cell phones are a good idea in case of emergency, reception can be unreliable and should never be relied upon. Always ensure you carry a detailed map or GPS, especially important if you are running on unfamiliar trails. A few common sense precautions can make the difference between a wonderful day in the trails, and a miserable night in the cold. One of the many reasons trail running is so appealing is the complete lack of equipment required. While a pair of running shoes and comfortable clothing should be enough to start, it is very easy to get carried away with the dizzying array of technical shoes and clothing, numerous accessories and ever-evolving technology on the market. Shoes: While most running shoes will work in the trails, the more technical the ground you run on, the more important it becomes to have a proper trail shoe. Trail shoes are designed to provide better traction, as well as improved grip on slippery surfaces. Many shoes have a toe bumper for protection, and if you are half as clumsy as I am in the trails, I highly recommend finding a shoe with this feature. Your toes will thank you. While waterproof shoes are an option, I find that they do not breathe well and you end up with wet feet regardless. If you are running in consistently wet terrain, a pair of running gaiters will often be enough to keep your feet dry. Socks: To accompany your shoes, I recommend finding breathable socks that are moisture-wicking. I know many trail runners that claim that a good pair of running socks is just as important as comfortable running shoes. Backpack: As your love of trail running grows and your distances increase, lightweight backpacks with a hydration bladder (such as Camelbak) can be a runner’s best friend and allow extra options for fueling and convenience. Try numerous models and find one that is lightweight and fits your body well. Headlamp: Carrying a headlamp with you is a good idea if you plan on running during dusk or dawn, and always a good addition in case you spend more time in the trails than you originally anticipated. While general running nutrition can be applied to trail running, the addition of a running backpack can add many fueling options to keep you hydrated and energized. Water: Good hydration is extremely important to ensure all athletes are performing optimally, and this is no less true for trail runners. Ensure you are bringing enough water with you before you head out for your run. While it can be tempting to drink from streams and creeks, they can often contain water-borne pathogens that can cause of stomach discomfort or worse. Electrolytes: While purified water can often be enough for shorter runs, adding electrolytes to your water can be very beneficial. Electrolytes become even more important on hot days when you are sweating more than normal. Replacing electrolytes lost in sweat, such as sodium and potassium, can help increase performance and reduce cramping. Try adding Vega Sport Electrolyte Hydrator to your water bottle for optimal hydration. Food: While most road runners generally rely on sugary gels and chews, as they are lightweight and convenient, the addition of a running backpack will allow you to take advantage of more satiating and nutrient dense options. Bringing dates or simple fruits can be quite satisfying while on the go, but if you have the ability to stop and take in a breathtaking view as a reward during your run, you will also be able to benefit from easily-digestible meals. Pre-made wraps, mashed potatoes or yams, and many other easy to carry small meals can make for a nice meal mid-run. If you are packing anything perishable, try freezing the food overnight before you head out. Convenient Fueling: If the thought of digesting small meals on the trail sounds less than appetizing, there are numerous convenient options specifically designed to keep athletes fueled. Focusing on easy-to-digest carbohydrates with a little protein and healthy fat will be exactly what your body desires. For convenient, on-the-go fueling options, gels made of real food and free of refined sugars will help keep energy levels consistent throughout your run. Try Vega Sport Energy Bar and Endurance Gel for clean, sports nutrition options. As I transitioned from running my first road 10K to my first ultra-marathon trail race, I quickly learned that trail running is equally similar and different from road running. It was very humbling to learn how much my running pace would drop in the trails as I navigated difficult terrain, steep inclines, and streams and creeks. Terrain: While running can often be difficult enough, trail running includes the added element of roots, rocks, stairs, boardwalks, and scree (those annoyingly slippery small pepples). As you get used to navigating this hazardous terrain, remember to slow down and lift your feet a little higher than normal in order to avoid treacherous obstacles. Boardwalks and stairs can often be slippery so ensure you are cautious and always use handrails when possible. Hills: Trail running often involves more climbing and descending of hills than you might usually find on road. When climbing hills, there’s no need to try to be a hero by running the entire time. Many experienced trail runners will walk up hills in order to recover and make up time during their descents. If the climb is runnable, remember to shorten your stride and lean forward slightly. While downhill running can be extremely enjoyable, throwing caution to the wind can often result in a loss of control and a rolled ankle. Be safe on your descents by making short, quick strides and raise your arms slightly and widen them a little to maintain control. Carry a map, water, and food. Start on easy trails and slowly progress to more difficult trails with more elevation. Keep your eyes on the trail and look approximately 5 feet ahead of you. Embrace slow and steady, keep your breathing controlled, and enjoy the scenery when safe to do so. Embrace power walking when your heartrate gets too high. Always tell someone where you are going and how long you plan to be gone. Have you tried trail running? What do you love most about it? Tag a picture using #BestLifeProject on Instagram to share your hiking, biking or trail running experiences.